Collagen proteins can be found throughout the body. Though many types of collagen exist, most share strong structural similarities and serve essential structural functions. Many descriptions of collagen begin by discussing its most basic structural unit, the amino acid, and proceed through the higher levels of organization to describe the classic collagen helix and the rugged bundles of collagen fibers that support our bodies and give them shape. 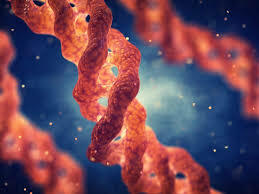 This article starts instead at the highest level of organization and progresses downward to reveal how the very structure of our bodies is dependent on the nanoscale twist of a single amino acid. If you were to take a section of the tendon (someone else’s, preferably) and look at it, it would look white and shiny. This is what Type I collagen, typical structural collagen, looks like. You could look at that tendon under a microscope, and what you would see are long, wavy bundles of fibers on the order of two to 10 microns thick (a human hair is 50 to 100 microns). Like the fibers of a rope, these fibers are made up of smaller structures, called fibrils. At this level, the precision of the collagen structure can be seen. Under an electron microscope, the fibrils appear long, smooth and uniform. (In Type I collagen, for example, all of the fibrils are between 50 and 70 nanometers in thickness.) 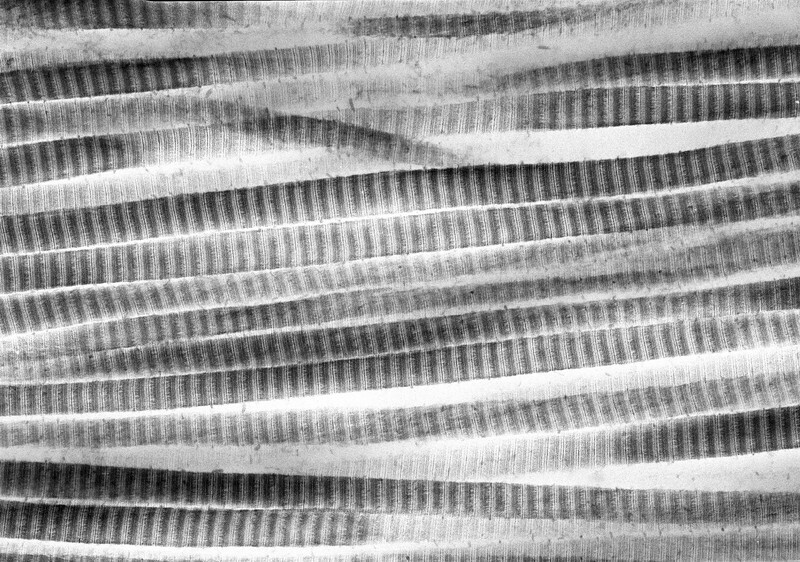 In well-preserved samples, the fibrils can appear “striped” in a regular pattern in which smaller units are joined together. 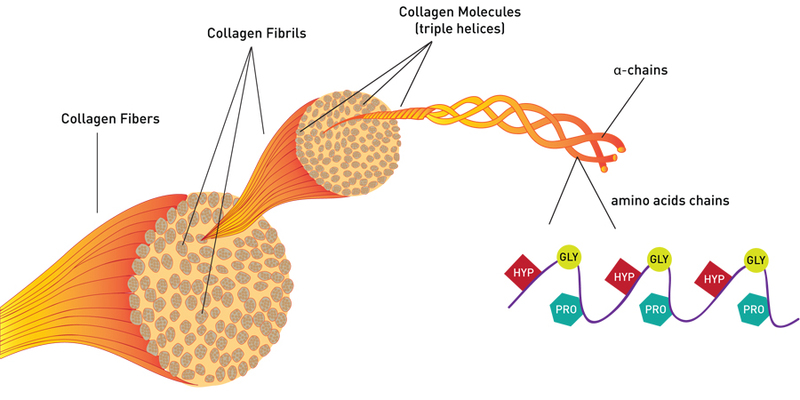 Collagen fibrils are made of many individual collagen molecules packed together. Many people are familiar with the DNA double helix. 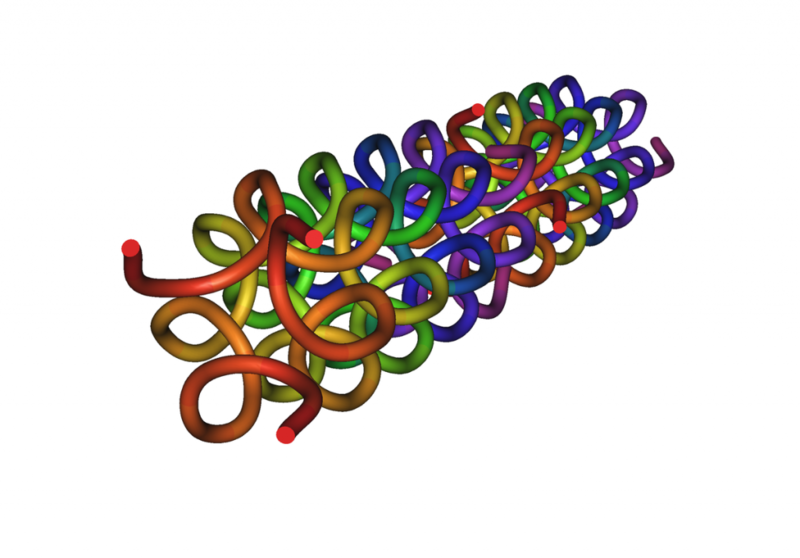 Similarly, each collagen molecule is a triple helix, that is, three protein chains twisted together in a specific shape to form a sturdy, stable protein strand. Collagen molecules are mass-produced by the body to be identical in composition and exactly the same size: 300 nanometers long by 1.5 nanometers wide. To make the much-larger collagen fibrils, the collagen molecules are stacked like bundles of wood with the ends offset. The gaps between sets of individual collagen molecules appear as bands in the fibrils. 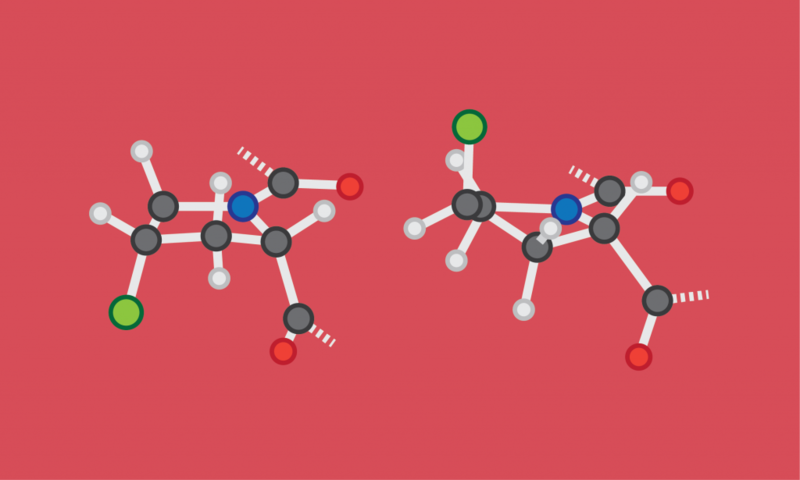 Like all proteins, collagens are composed of hundreds of amino acids linked together through amide bonds. 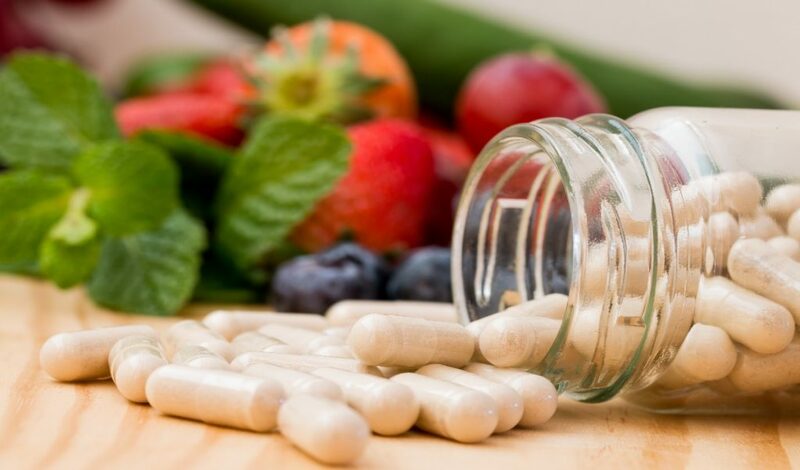 Naturally occurring amino acid types total 20, and most of them appear at least once in the collagen sequence, but two kinds of amino acid in particular play a major role in collagen’s overall structure: proline and glycine. Glycine is the smallest amino acid, and it appears as every third amino acid in the sequence. It appears frequently for good reason: glycine’s small size gives it the flexibility to accommodate the twists and turns of the chain as it forms a helix. Of the rest of the amino acids that make up collagen, many of them are water-loving amino acids such as lysine, threonine and serine. 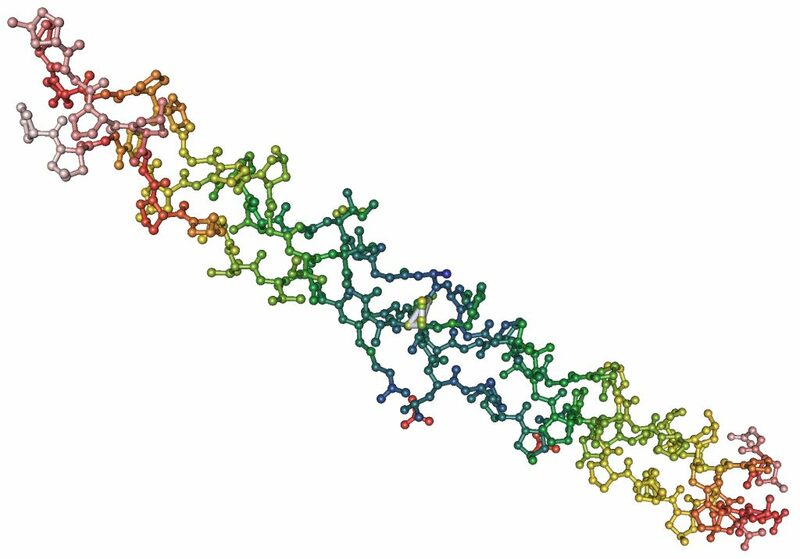 As the peptide chain twists into a helix, these members of the chain gang are presented on the outside of the structure, making the outside of the collagen more compatible with the watery environment around it, namely, you!